Have you ever noticed that once you&apos;ve put together a nursery that you love, you tend to dress your baby in clothes that coordinate with said nursery? I know I sure did...and still do in fact. My lil&apos; lady bean is a wild child toddler now, but I still find myself turning to purple and grey shades similar to the ones in her nursery when I&apos;m styling her outfits. 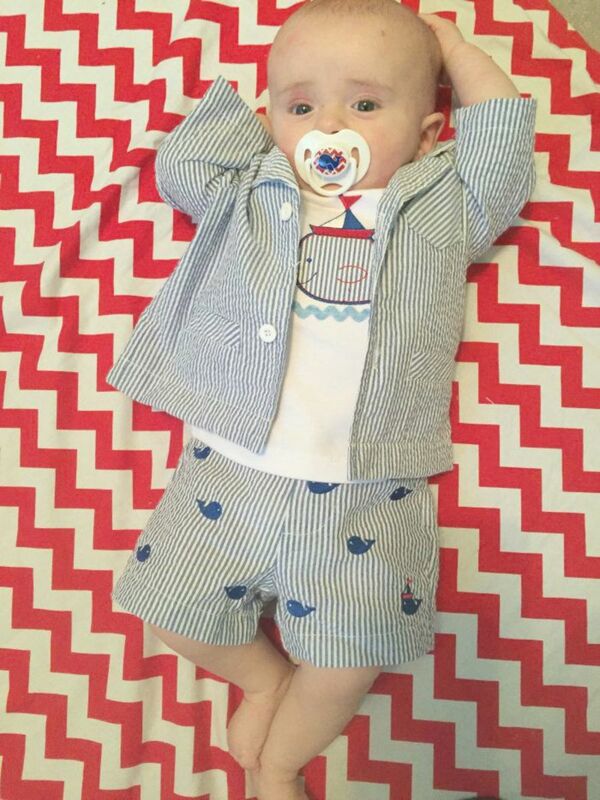 So, it was no surprise to me when my sister started decking my adorable nephew out in nautical style looks on the regular. 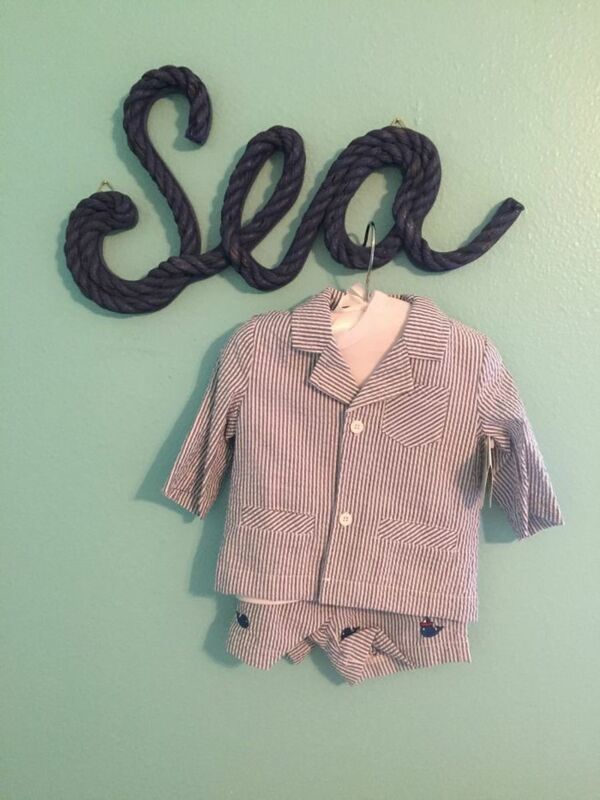 She designed a darling nautical nursery complete with stripes, anchors and, of course, whales galore. I particularly love how she chose to complement the traditional nautical shade of navy with aqua and brick red. It&apos;s a fun take on the nautical trend no? 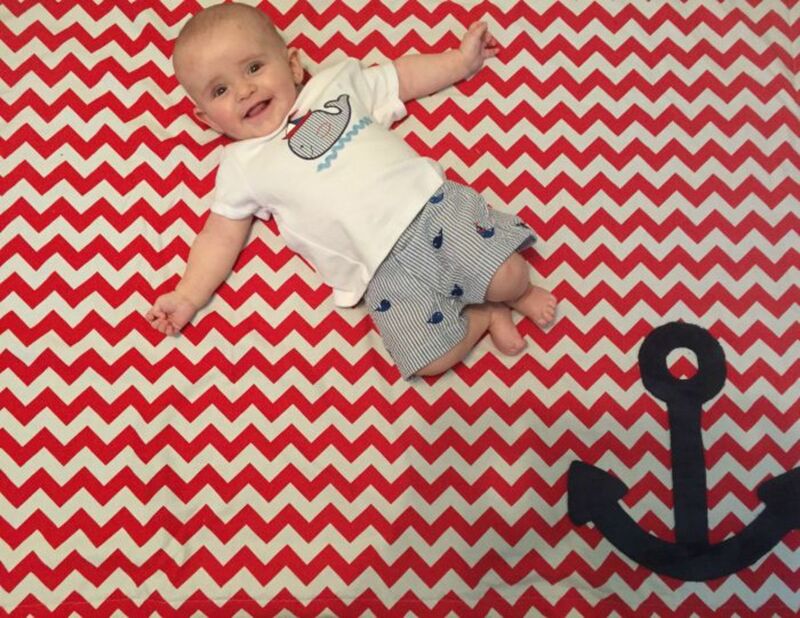 So, now that you&apos;ve gotten a glimpse of her baby&apos;s style inspiration, let&apos;s take a look at our favorite little guy&apos;s latest nautical look. Like I said, whales are kind of his mascot, so this seersucker suit from Elegant Baby was an immediate hit with his mama. We&apos;re not quite ready to say goodbye to summer around here, so it&apos;s a great time to sneak in some more seersucker and nautical style. And this three piece suit makes for a perfect summer to fall transitional look. Plus, we live in Florida, so lightweight pieces will work for a few months yet. I know you fellow Southerners know what I&apos;m talking about! 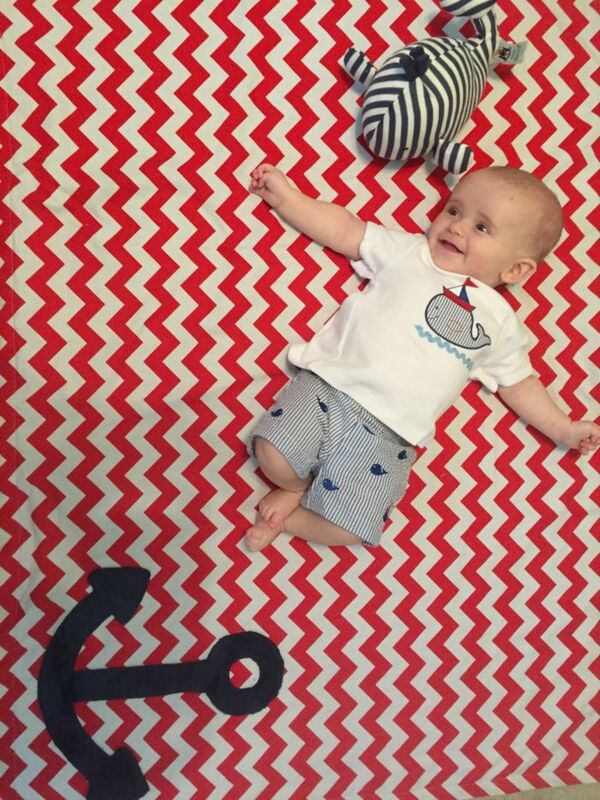 So, who else is still loving the nautical look even as summer comes to a close? There&apos;s no reason we can&apos;t take the trend right on into fall right?